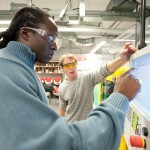 UMass Lowell is one of only two accredited undergraduate plastics engineering programs in the U.S. and a research-oriented graduate program. 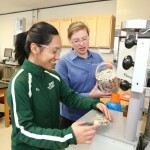 The Plastics Engineering Department at UMass Lowell is an internationally recognized leader in plastics engineering education. 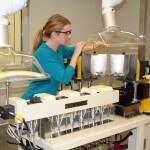 Founded in 1954, we offer the only ABET* accredited Plastics Engineering program in the U.S. More than 3,000 graduates are working in the plastics industry in leadership positions worldwide. Learn more.